It was only a matter of time before Trump’s tariffs started affected everyday products. Now they’ve help lead to price increases for the beverage most associated with America itself: Coca-Cola. 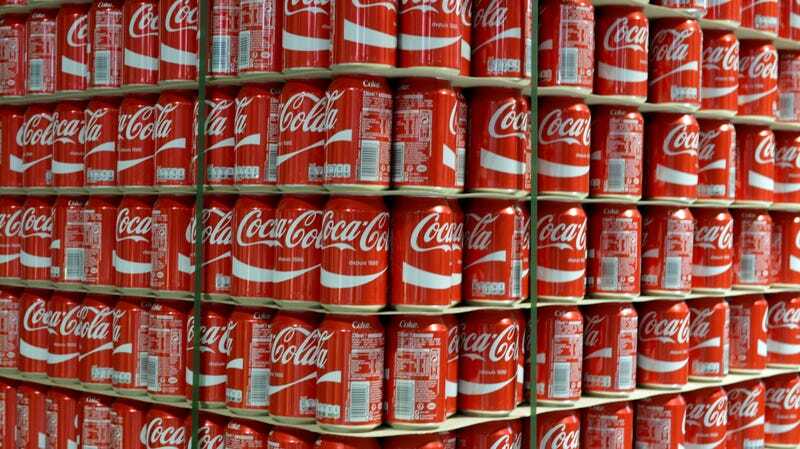 CNN Money and other outlets report today that the 10-percent tariff on aluminum imported from the E.U., Canada, and Mexico has contributed to increased costs associated with producing Coke cans. Of course, it’s now up to retailers, who are receiving the higher-priced soda wholesale, if they will raise the Coke costs in turn. But it seems pretty obvious that the price will likely change in-store as well. Better start scouting around for some coupons, Coke fans, or opt for fountain drinks.